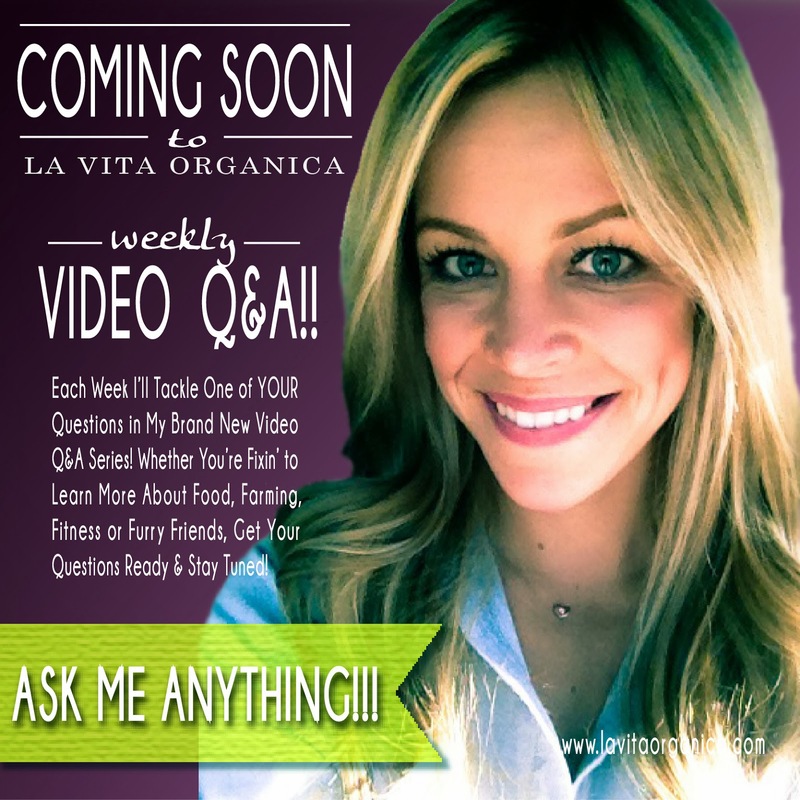 La Vita Organica: COMING SOON: La Vita Organica Video Q&A !! Our ALL NEW Weekly Video Q&A Series! In the next couple weeks I will kick off a brand new video Q&A series that will air weekly. Each week I'll ask YOU GUYS to submit questions and topic ideas that interest YOU on the blog at www.lavitaorganica.com or over on the Facebook Page! I will choose one to answer or address in each video! You can ask me about how to health-ify recipes, how to shop strategically, my opinion on a certain brand or product, or something totally off-topic - really, ANYTHING! This is all about YOU and getting your questions answered! So, start thinking and stay tuned! I'll have more details for you in the next week!